If you can’t remember the last time you looked up at a night sky unadulterated by artificial light, good news. On Tuesday, a 1,400 square mile area of central Idaho was designated America’s first International Dark Sky Reserve. It’s finally clear where you should go to find those starry nights absent from urban life. 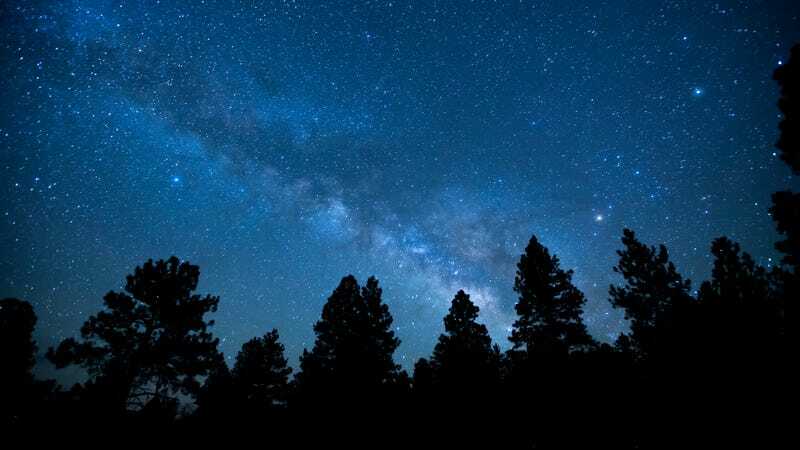 The Central Idaho Dark Sky Reserve joins just a dozen other such reserves worldwide as a place where visitors can “experience the primeval wonder of the starry night sky,” according to Steve Botti, the mayor of Stanley, Idaho, and longtime advocate of the reserve. According to IDA’s release, it took nearly two decades of work and cooperation from countless local leaders, residents, and business owners to create the conditions for this vast nighttime reserve. The reserve is located within the Sawtooth Mountain range, where public lands and challenging topography have discouraged development over the decades. The nearby economies of Ketchum and Stanley rely heavily on tourist traffic, with many coming to the area for its remote wildlands and stunning stargazing. Ketchum instituted its first outdoor lighting ordinance nearly two decades ago. In addition to blocking the stars, artificial light can adversely impact wildlife, as plants and animals have evolved for millions of years to depend on Earth’s daily cycle of light and darkness for everything from reproduction to protection. This is especially the case with nocturnal animals. Many species have been shown to hang around artificial lights awaiting prey, which can upset long-established ecological balances. Other species, such as certain moths, seem to be evolving to avoid artificial lights, which have proven to be an exceptionally lethal killer of the delicate winged creatures. To qualify as a Dark Sky Reserve, an area must possess an extremely dark core area, and a peripheral area that supports the preservation of the central core’s darkness. The IDA works with local governments and key stakeholders to establish dark sky areas, which aside from reserves, also include parks, communities, and sanctuaries. No federal legislation was passed to create the new Idaho reserve (hard to imagine that type of conservation happening under the Trump administration), but with the Sawtooth National Forest and other already established public lands nearby, the potential for development is very low. Other Dark Sky Reserves can be found in Canada, Germany, New Zealand, France, the U.K., and Namibia.